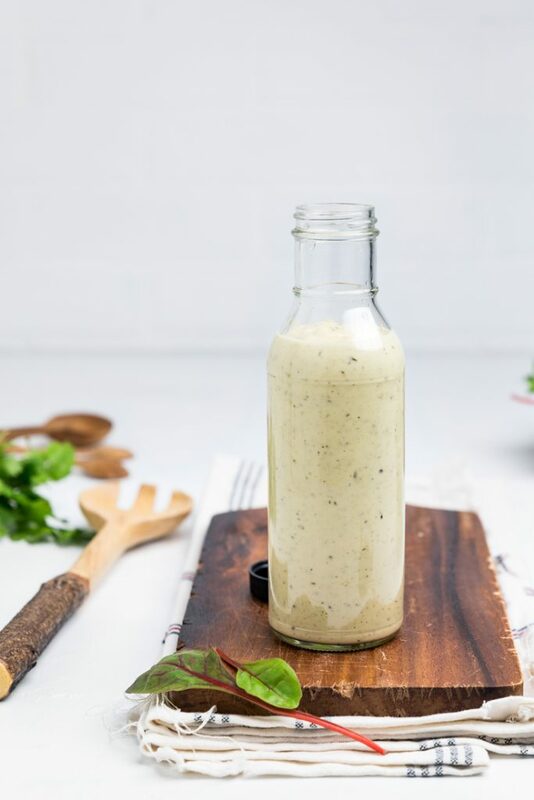 Creamy and perfect, you don’t have sacrifice anything when you make this delicious dairy free caesar dressing recipe. It’s also gluten free, and a completely vegan Caesar dressing recipe. The hardest part of living a dairy free life is having to give up things or not be able to try things because they have dairy in them. If you are here you may have started with the question, “Is Caesear dressing dairy free?” And the answer, is not usually. While there are many salad dressings that are dairy free, Caesar dressing is typically not one of them. 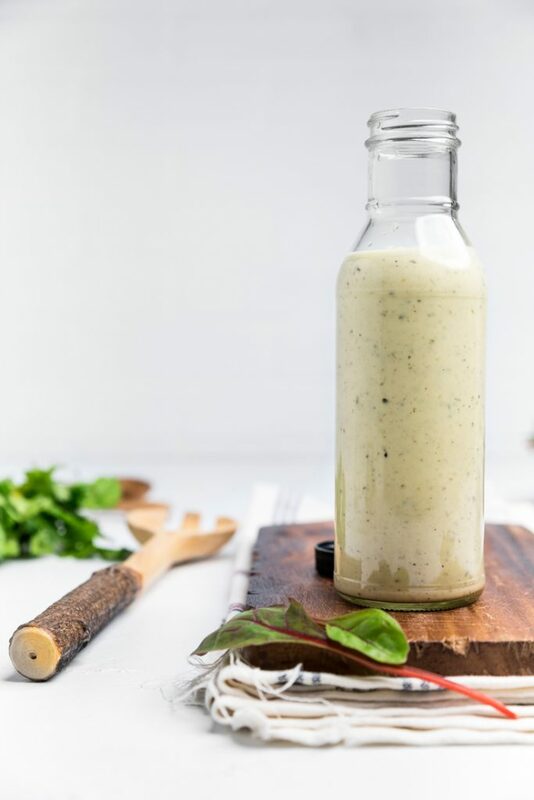 This Dairy Free Caesar Dressing is absolutely perfect and comes together in under 10 minutes. 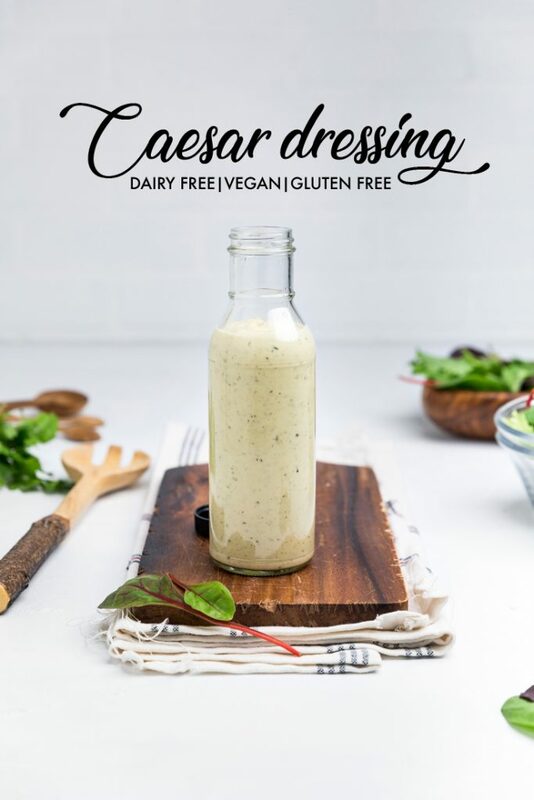 This Dairy Free Caesar dressing is completely dairy free, but it also happens to be a gluten free dairy free caesar salad dressing as well as a vegan caesar dressing (meaning that it’s a fish free Caesar dressing). Most important it’s a homemade dairy free caesar dressing that doesn’t sacrifice any flavors. 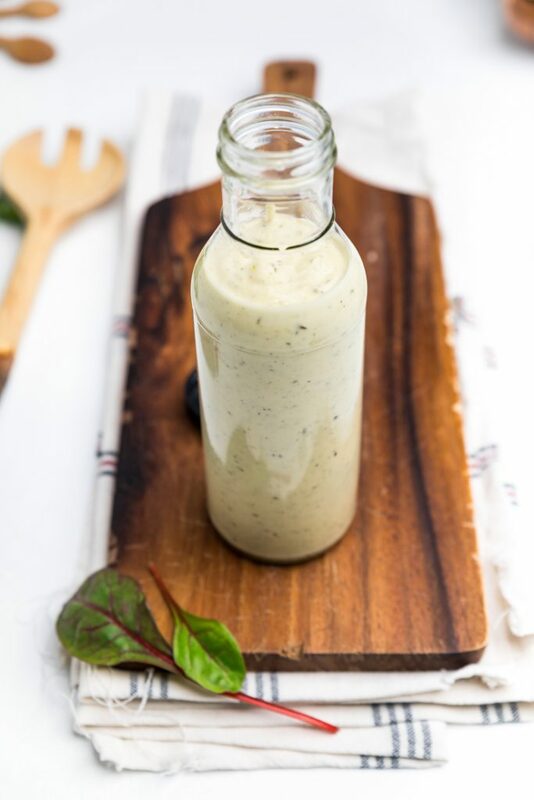 What ingredients do you need to make this dairy free Caesar dressing? 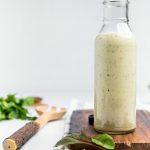 When you are making this dairy free caesar dressing recipe it’s better to use fresh ingredients for the lemon juice and garlic. It yields to a much better taste. How do you make this dairy free Caesar dressing? Through everything into a blender and blend. Bam done. It’s really that simple. But let’s talk about a few things . You are going to be adding in whole cloves of garlic and capers. That means that you are going to want to be have a high powdered blender. We love our Vitamix so much (it really is worth the price). A food processor would also work for this vegan caesar salad dressing recipe; however, it’s important to note that many food processors are larger so if you are making a small batch of this, you may have to scrap down the sides a few times in order to really blend the ingredients. What vegan mayo should I use in this dairy free caesar dressing? Unfortunately, not all vegan mayo is made the same. We tested this with vegan mayo dressings and we believe that Just Mayo is the better option. 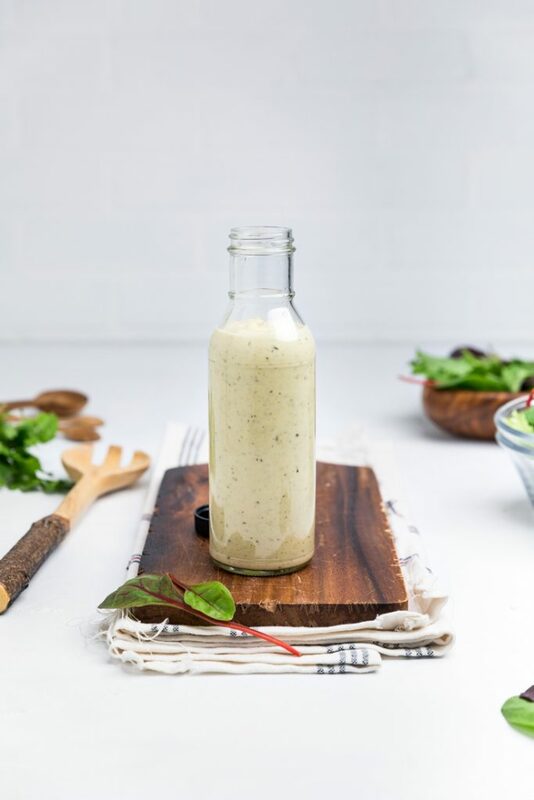 The balance of acid to oil is best in this dairy free caesar dressing using Just Mayo than another brand. However, if you already have a preference, any vegan mayo can be used. How can you use dairy free Caesar dressing besides salad? Obviously there are many more ways that it could be use, you just have to come up with your favorite. Using a high powdered blender, add ingredients and blend until smooth. Pour into an air tight container and use as needed. 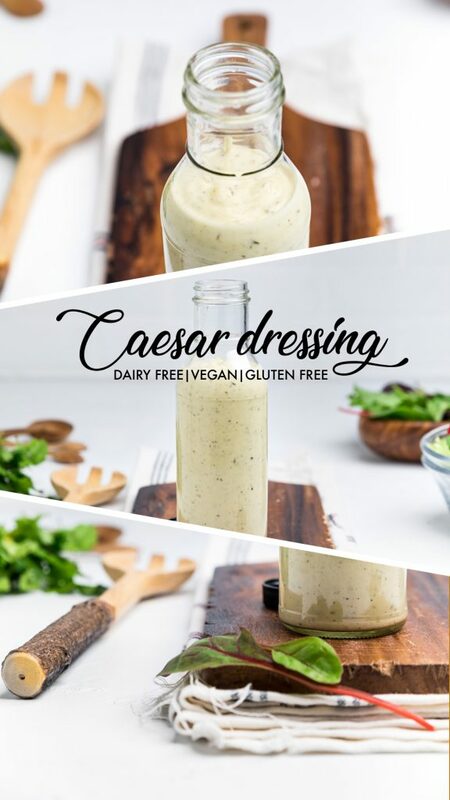 Dairy free caesar dressing will last store properly for up to 1 month.